The future of Medicaid hangs in the balance as Election Day approaches, but John Wren feels like no one’s listening to the people whose lives depend on the health program for the poor. Wren, 45, of Erie, Pa., was among dozens of people with disabilities, their caregivers, families, activists and volunteers who laid siege this week to Pennsylvania’s capital city, Harrisburg, during protests organized by ADAPT, a national organization that advocates for disability rights. President Barack Obama and Republican presidential nominee Mitt Romney havevastly different visions for the future of Medicaid and people like Wren and his fellow protestors understand the stakes all too well. 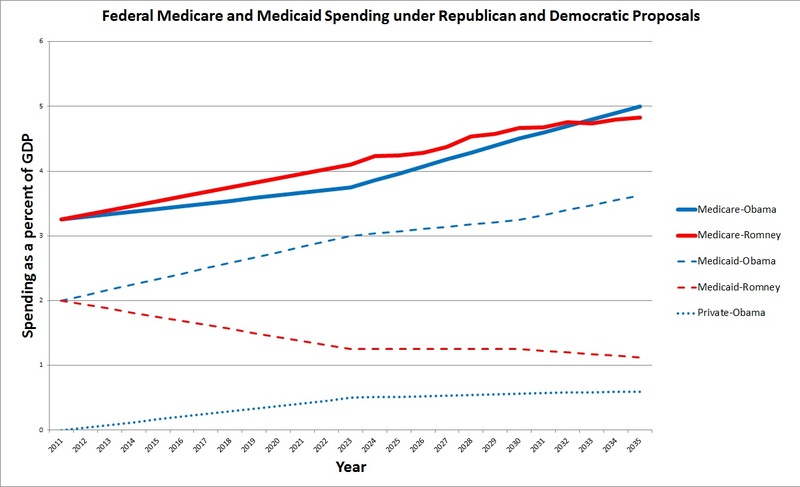 While Obama seeks to expand Medicaid to cover millions more, Romney would move in the opposite direction by slashing federal spending and turning over control of the program to states. But Wren doesn’t think that either Obama or Romney is tuned into the needs of people with disabilities. “Those two guys aren’t going to be the ones who do anything about us,” Wren said Tuesday during a protest outside the Pennsylvania Department of Public Welfare. Until four years ago, Wren was earning about $60,000 a year as a truck driver. He’s a father of six who liked to hunt, fish, and camp and was about to marry his fiancée, Terri Martin. First, he got laid off. Then, an automobile accident robbed him of the future he planned, along with his right leg and right eye. Today, Wren is unemployed, uses a power wheelchair to get around and requires care at home and medical supplies paid for by Medicaid. Wren’s still with Martin, but they never got married. She has taken on the role of his home aide and the state won’t pay spouses to care for each other. Medicaid coverage of his home care services is what’s keeping him from spending his life in a nursing home, and he’s worried that with less money to go around, people like him will be left behind, he said. So Wren decided it was time to take a stand in his home state. “This is a focal point of what’s going on,” he said. Over four days in Harrisburg, protesters used their wheelchairs, scooters and legs to march on the governor’s mansion, occupy the state Capitol, storm the welfare department headquarters and take over a downtown plaza outside a Romney campaign office. They almost crossed paths with Ann Romney, the GOP candidate’s wife, who headlined a fundraiser Monday night at the Hilton hotel that served as a temporary home for many activists, said Amber Smock, an ADAPT spokeswoman.